The world’s first smartphone celebrated its 20th birthday yesterday. 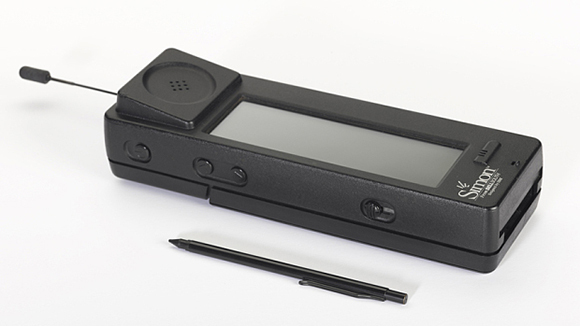 The IBM Simon Personal Communicator hit the shelves in the United States on August 16, 1994. Naturally, IBM Simon wasn’t called a smartphone back in the day – the term didn’t exist then. IBM sold around 50,000 units of the device, which was able to operate within a network of 15 US states. IBM Simon was particularly popular in the business community. The handset offered software applications, calendar, email, as well as the ability to connect to a fax machine. It could make phone calls too. The gadget’s hardware features included a green LCD display and pen stylus. The weight of the entire setup was a whopping 500 grams – more than an iPad Air. Battery life of the IBM Simon was less than stealer. Its price tag on the other hand was a whopping $899 – that’s over $1400 in today’s money when you factor in inflation. Despite its limited success, IBM Simon surely inspired other manufacturers in terms of design. We couldn’t help bit think of Ericsson R380 when we looked at Big Blue’s creation. Sony Ericsson subsequently also featured improved, but similar setup in the Symbian-toting P800, P900, and P990. You do realize we know you replied to yourself right?